The Futurists’ celebration of the fast pace and mechanical power of the modern world is emphasized here in the sculpture’s dynamism and energy. The figure’s marching silhouette appears deformed by wind and speed, while its sleek metal contours allude to machinery. 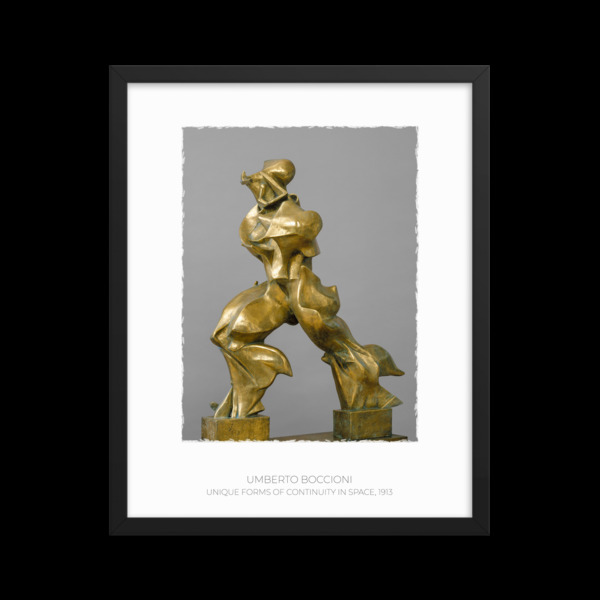 World War I broke out the year after Boccioni created this work. Believing that modern technological warfare would shatter Italy’s obsession with the classical past, the Futurists welcomed the conflict. Tragically, Boccioni was killed in action in 1916, at the age of thirty-four.